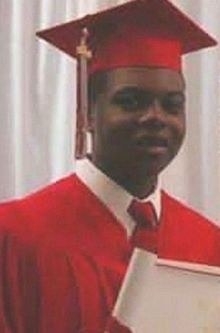 The Officer Who Fatally Shot Laquan McDonald 16 Times Said The Teen's Eyes "Were Bugging Out Of His Head"
Chicago Police Officer Jason Van Dyke also testified that he was shooting at the knife as Laquan McDonald was on the ground. The white Chicago police officer who fatally shot Laquan McDonald, a black teen, 16 times took the stand Tuesday in his own defense, telling jurors he was aiming at the 17-year-old's knife. 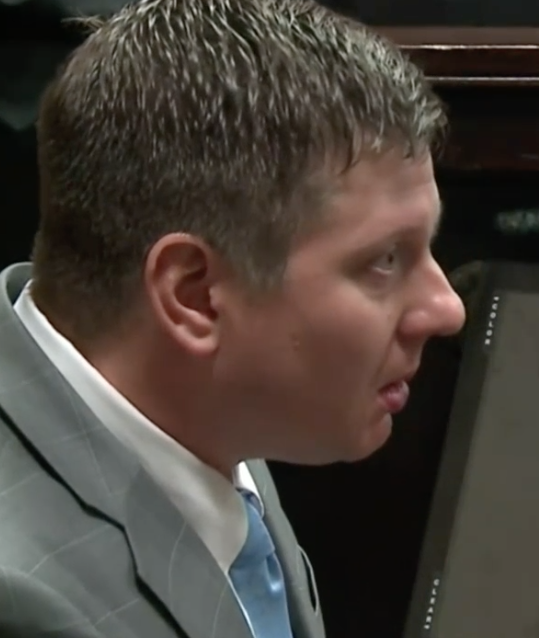 Jason Van Dyke is facing six counts of first-degree murder and 16 counts of aggravated battery after police dashcam footage showed him shooting McDonald on Oct. 20, 2014. McDonald was seen holding a knife as Van Dyke approached him, but the officer continued to shoot when the teen was on the ground. Warning: The following video of the shooting is graphic. On the stand of his own trial at the Cook County Criminal Courthouse, Van Dyke attempted to walk through the fatal encounter from his perspective, telling jurors that when he and a fellow officer stepped out of their patrol car with their guns drawn, he saw McDonald "advancing on" him and "extend out a knife." “His face had no expression — his eyes were bugging out of his head; he had these huge white eyes just staring through me,” Van Dyke testified. Van Dyke said he yelled at McDonald to drop the knife several times, but "he never stopped." Instead, Van Dyke said McDonald kept "advancing" until he was about 10 or 15 feet away. Van Dyke then paused on the stand and appeared to tear up. “We never lost eye contact," he said. "His eyes were bugging out of his face. His face was expressionless." Van Dyke testified that McDonald had his torso turned to him, and was waving the knife "from the lower right side upwards" to his left shoulder. The defense attorney then asked what he did. "I shot him," Van Dyke responded while appearing to become red in the face. “Once I recognized he was on the ground, I stopped shooting," Van Dyke testified. However, he said he saw McDonald "starting to push up from the ground" and that "his eyes are still bugged out." He added that McDonald never dropped his knife, so he proceeded to continue shooting — but only at the knife. "I kept on looking at the knife and I shot at it ... I just kept wanting him to get rid of the knife," Van Dyke said. When asked by his attorney if he could recall how many shots he fired after he reloaded his gun, Van Dyke responded: "I think I fired two or three shots." Prosecutors did not immediately question Van Dyke for cross-examination Tuesday afternoon, instead moving on to another witness. Van Dyke is the first Chicago police officer in over three decades to be charged with first-degree murder for an on-duty fatality, according to the Chicago Tribune.